Emma and Camilla are a styling duo who operate under the name Interior Facelift. 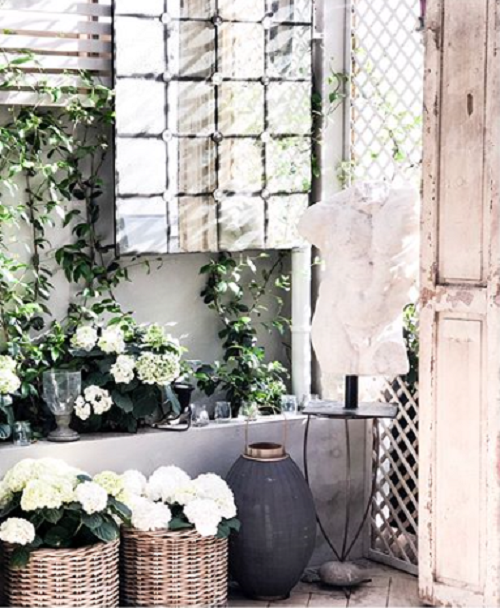 Far from surgical, their Instagram is bursting with classically romantic décor and tumbling foliage aplenty. Featuring Jim Lawrence lights in Camilla’s own home, we were stunned by their skill in creating atmosphere and individuality to a space. With an aptitude for sourcing unique pieces and a self-professed skill for ‘decluttering and reorganising’ we wanted to learn more about their business and the rooms they transform. Camilla’s stunning city home was recently featured in a beautiful article for 25 Beautiful Homes Magazine. Was the styling of your home Interior Facelift’s first project together? No, our first project together was an Edwardian house in London – the owners had used a developer and an interior designer to update their house but they couldn’t make the sitting room feel cosy and so called us in to add style and individuality. 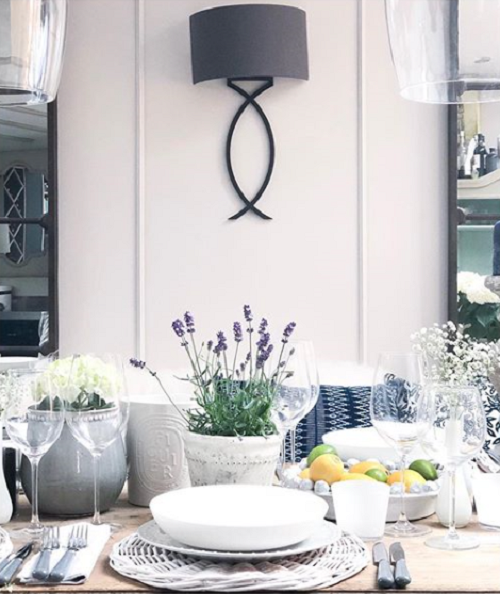 On your website you talk about how ‘breathing new life’ into a home through styling can be just as effective as starting the whole decoration process from scratch. What is the best starting place for a client when they want to refresh their home? To work out how they would like to use the room, what they would like to keep in it, (if anything) and what they would like to change. for example, we are currently doing a job in which the client has a wonderful painting above the fireplace which is very special to them so we are designing colours around it and eclectic pieces from our treasure trove of reclaimed goodies to bring the room together. What would you say is the most transformative step in restyling? 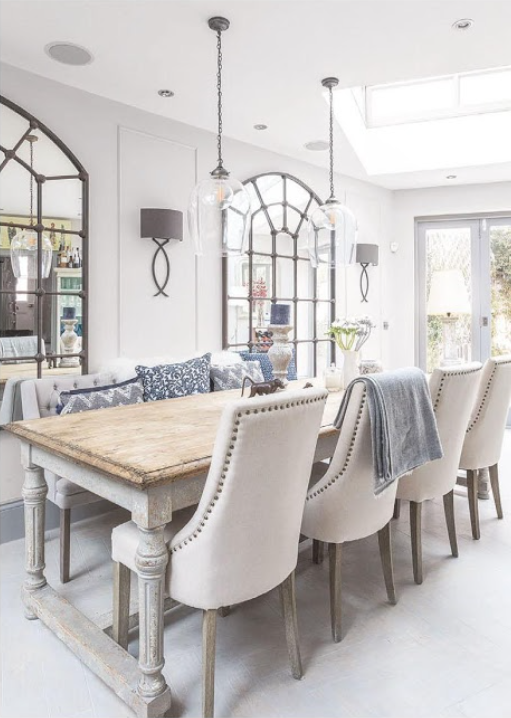 For us, the way to add the greatest impact when restyling is to add a few key features in a room, such as panelling as well as a couple of interesting pieces, perhaps an oversized mirror or some reclaimed doors that then make the room come alive. What is your top tip for lighting a room? We would say lighting is one of the most dramatic ways of adding impact and creating an atmosphere in a room. Layering is how we add interest with light, from overhead pendants to wall lights to table lamps. Where does your flair for design come from? For Emma life has always been about being visual – she trained as an artist , so colours and attention to detail have been second nature to her for more years than she might care to remember. I (Camilla) lived in Italy for several years, where style and design go hand in hand in effortless fashion. 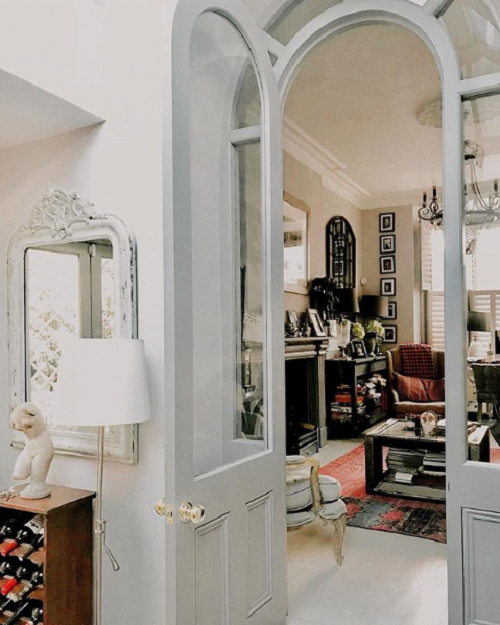 With a wealth of inspiration on platforms like Instagram, sometimes it seems like a lot of houses can end up looking the same and filled with similar things. How do you tap into adding your own personality into a home? We are both opposed to the ‘developers look’ where rooms can look bland and lack individuality. Instead, for us it is about layering different textures, making pieces work against each other and mixing reclaimed with new to add interest. The most wonderful part of our job is that we can combine our experience and flair with the client’s personality to make their home truly original. Which has been the most enjoyable project to design? Probably our most enjoyable project to date has been a house which just needed styling as opposed to building work; we were given free reign to style shelves, consoles, wall art etc – our idea of heaven. We have had one job where the client kept changing their mind with regards to what they wanted – a few mood boards later we got there! Can you tell us about your dream project? A project that allows us to use lots of reclaimed features and interesting styling. We are most excited when we can explore our ‘ inside-out’ philosophy….crafting out door spaces so that they flow from the indoor rooms and reflect each other by strategically positioned mirrors and of course magical lighting. Last but not least, what’s in store next for Interior Facelift? We are really excited about doing a project in Mallorca – we are planning to use a lot of natural wood and stone with limed walls, rattan pendants and some stunning Jim Lawrence outdoor wall lights. We have already discovered some dusty reclamation yards waiting for our attention! 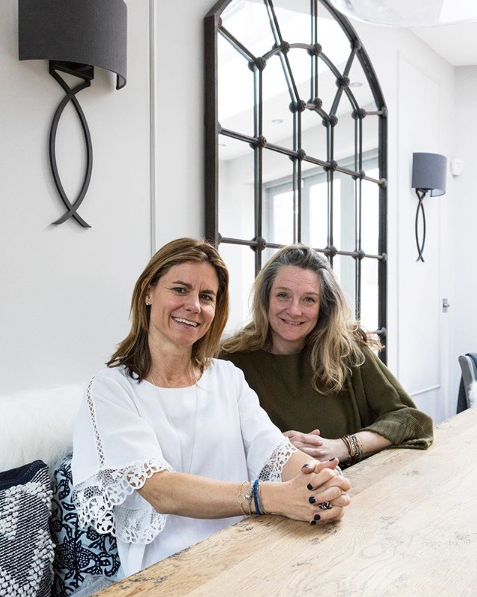 We can’t wait to see this Mallorca project, it sounds divine… Follow Camilla and Emma on Instagram at @Interiorfacelift, and see more of their work on their website.